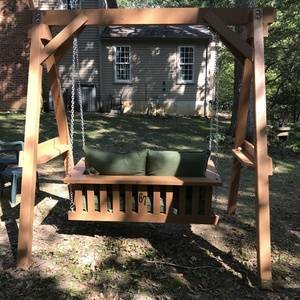 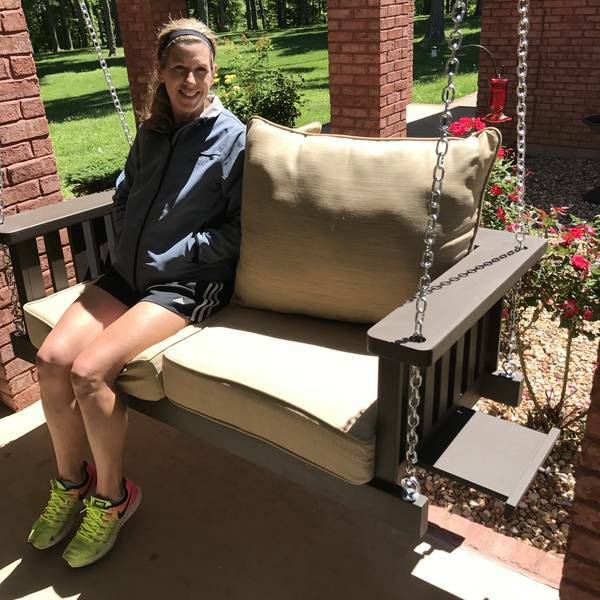 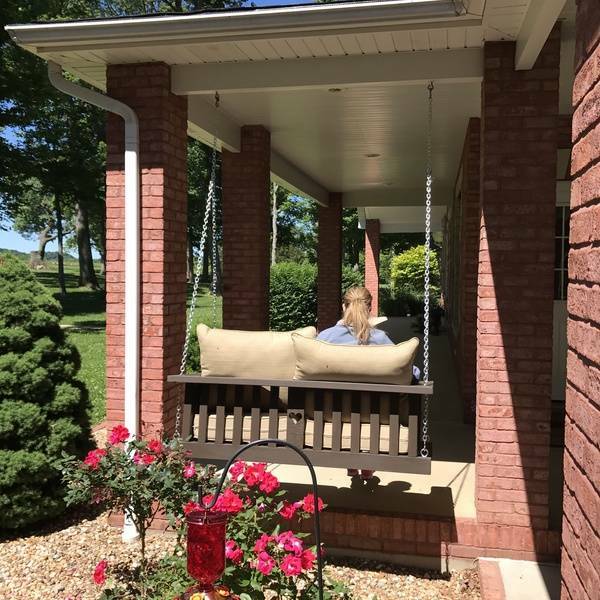 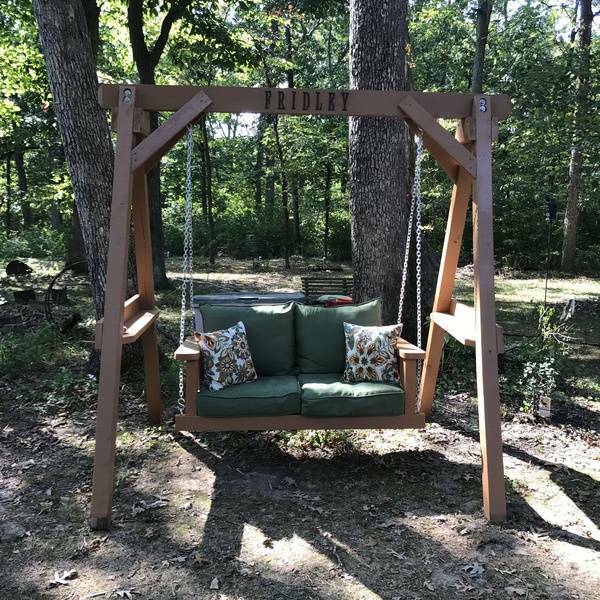 I made a swing for my wife for our front porch with slide out shelves on the sides for books, drinks, candles, etc. 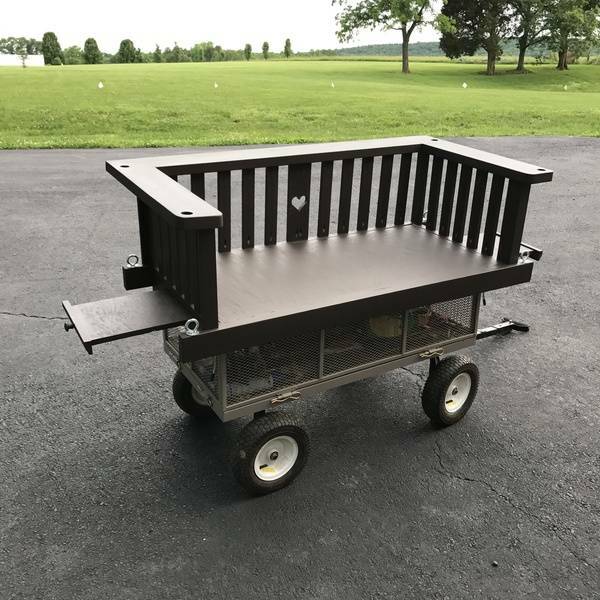 My mother in law liked the project so much I made her one for her yard. 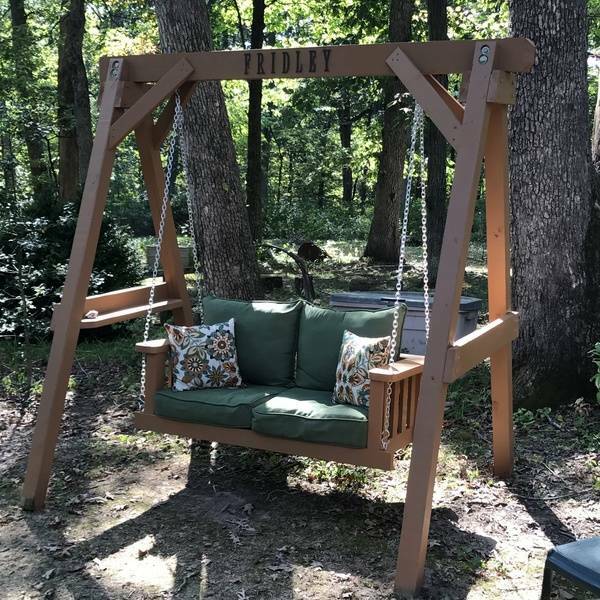 It was personalized with their name and the year of their marriage. 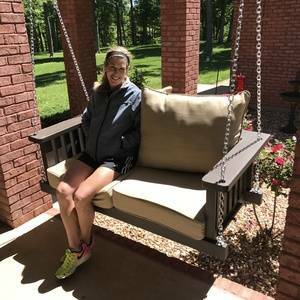 She loved the gift. We can see why your mother in law wanted one of her own! 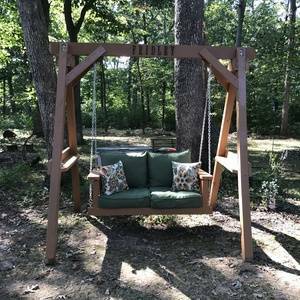 Both swings are awesome! The slide out shelves is a genius idea, too.